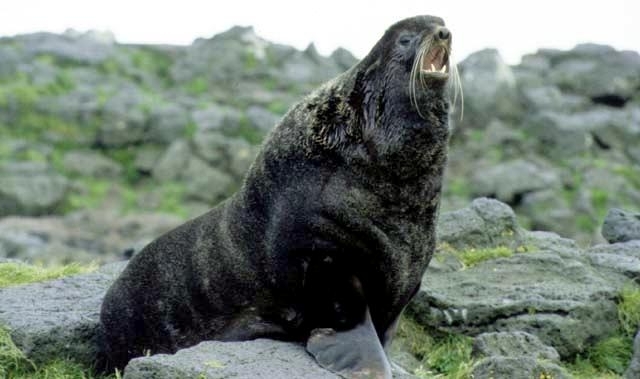 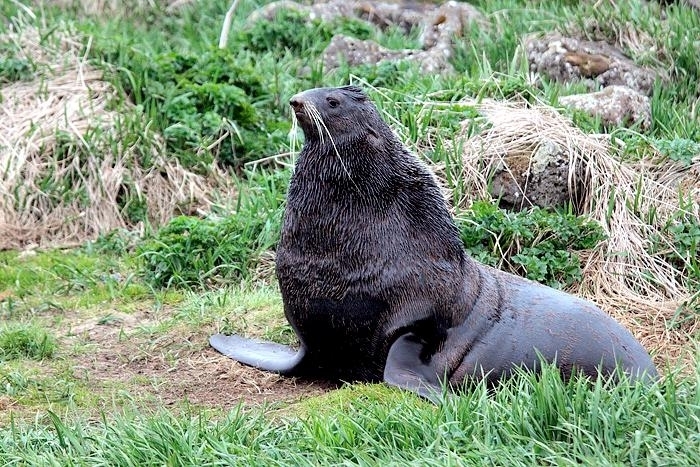 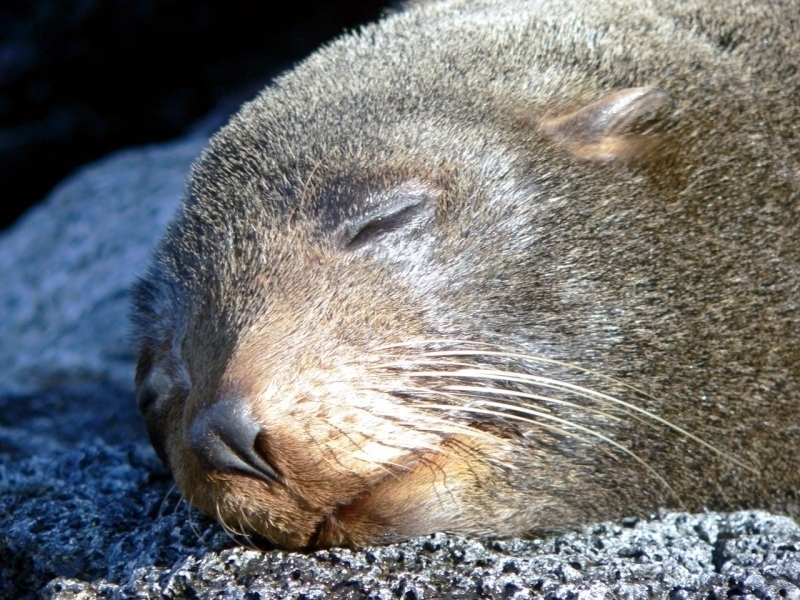 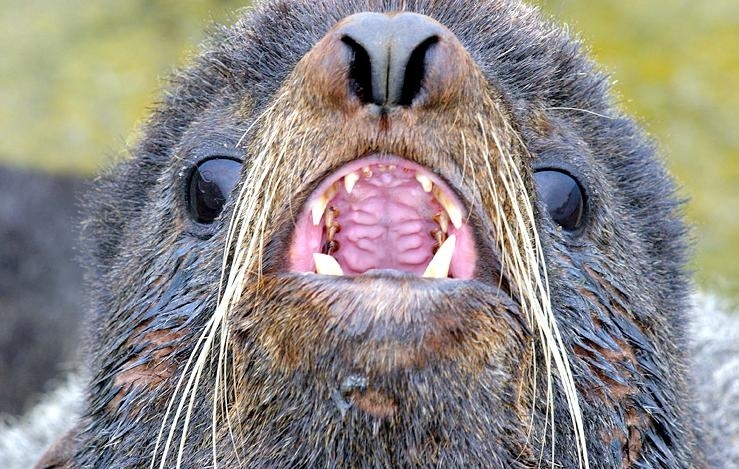 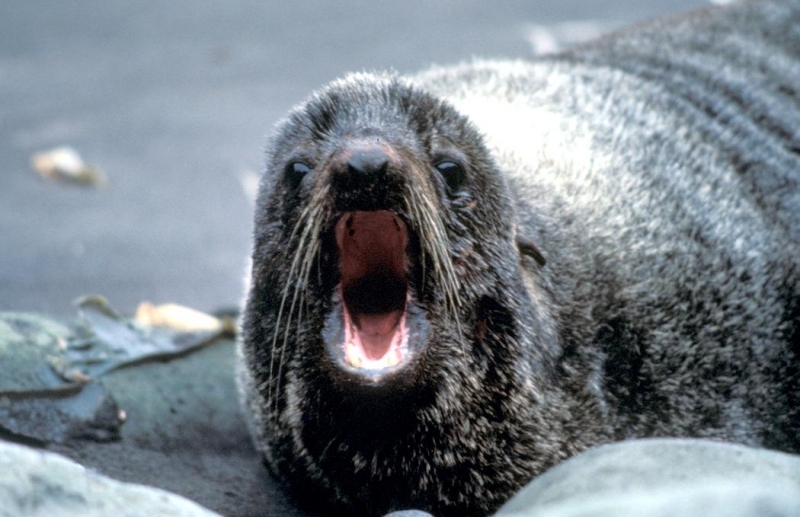 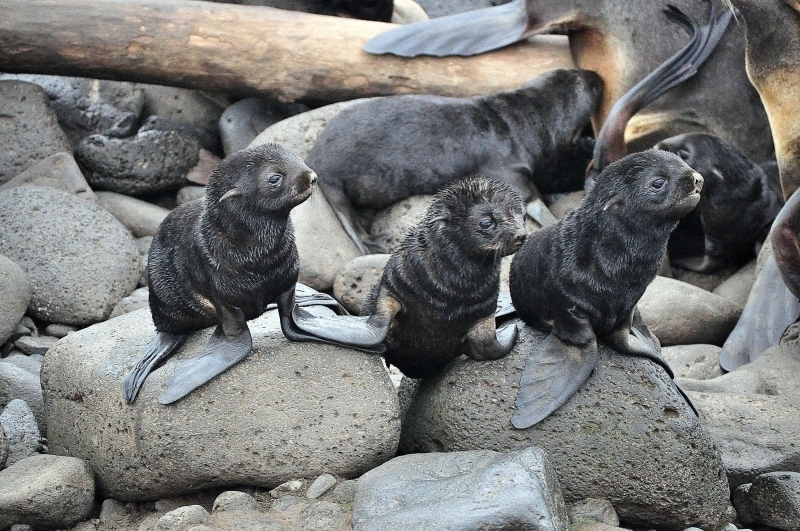 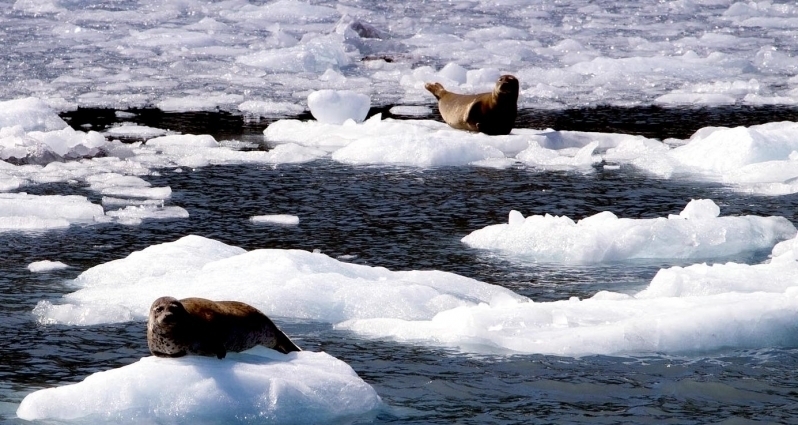 Northern Fur Seals are a highly migratory species and have been known to travel distances of up to 10,000 kilometers. 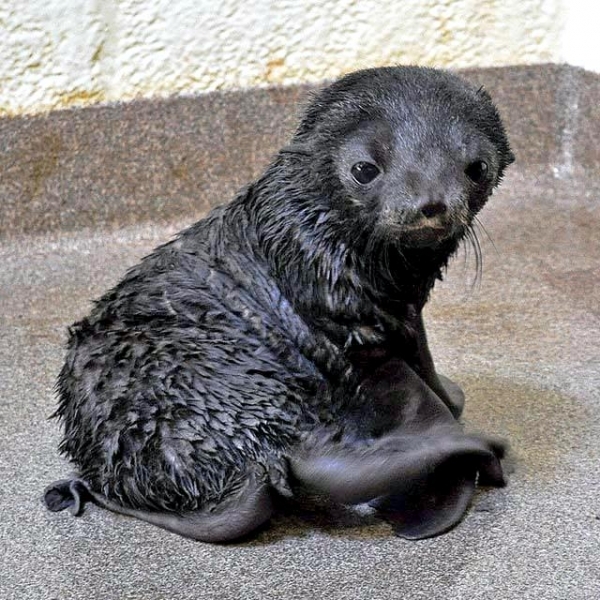 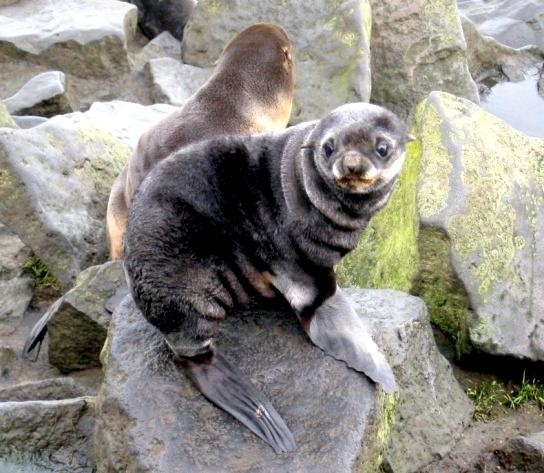 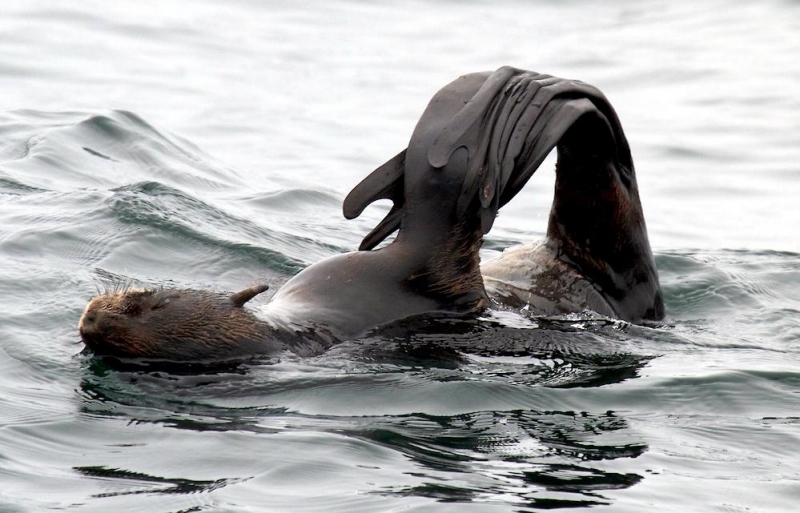 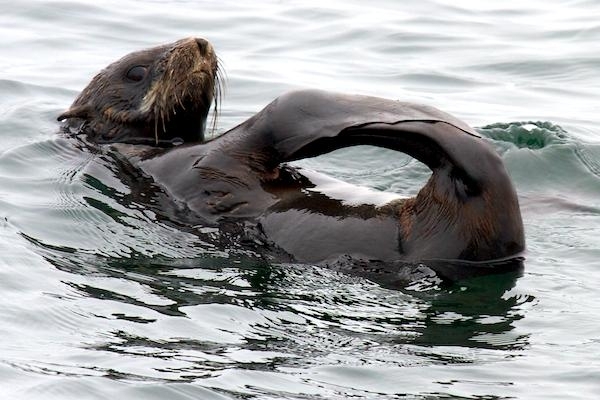 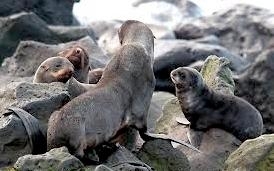 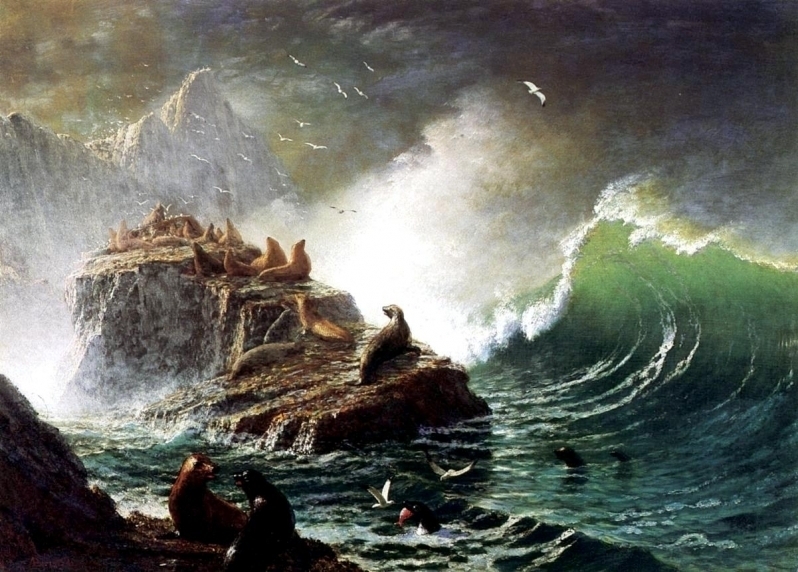 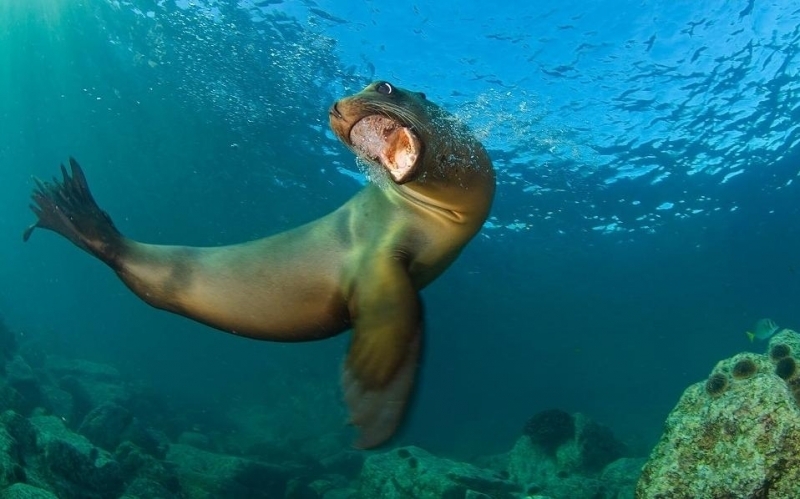 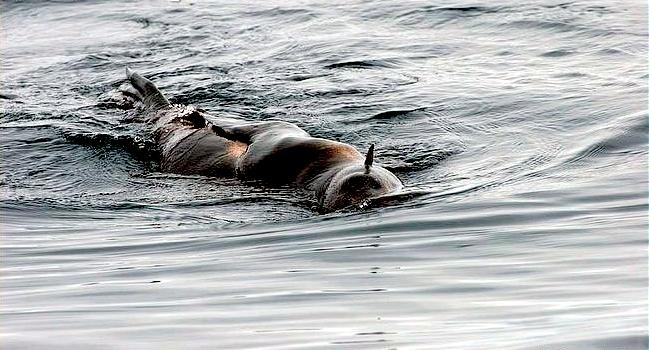 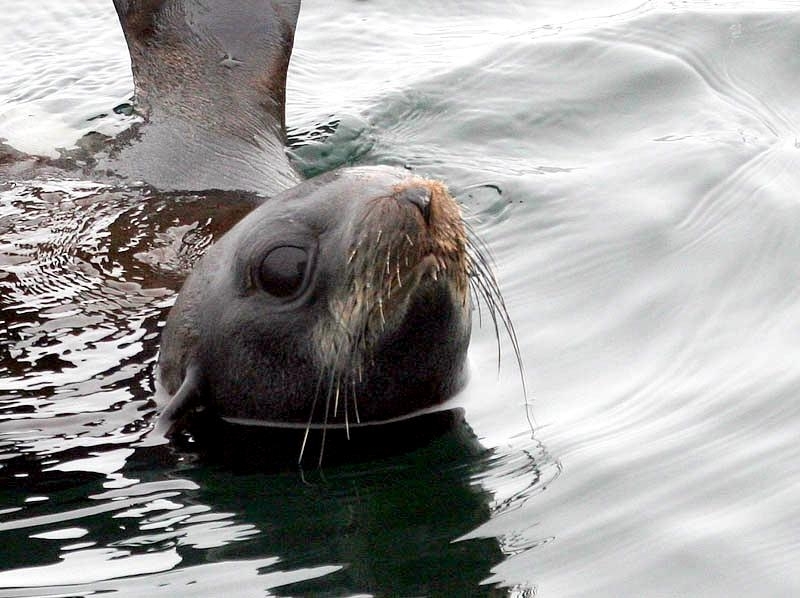 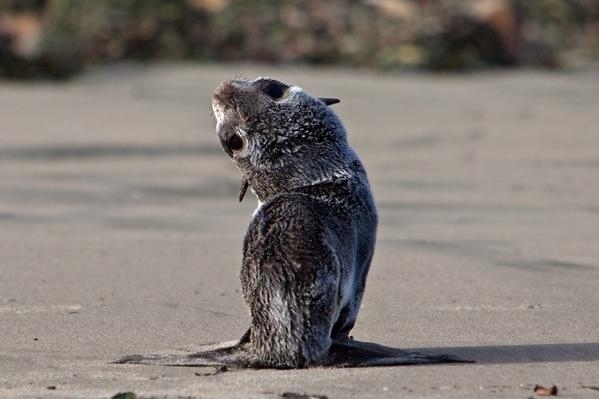 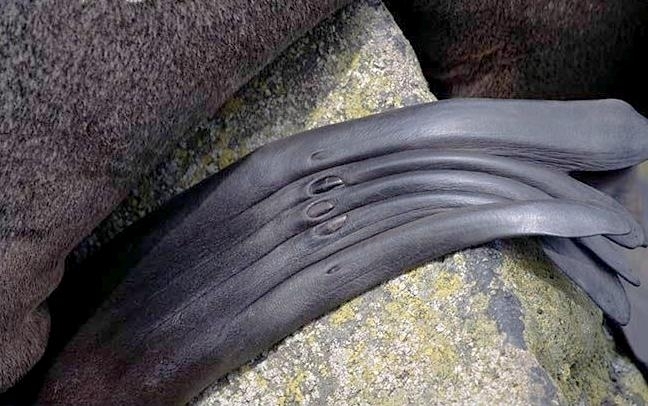 Also known as the Pribilof Fur Seal and the Alaska Fur Seal, females & juveniles from the Pribilof Islands migrate to offshore waters from Canada down to California and to the west as far south as Japan. 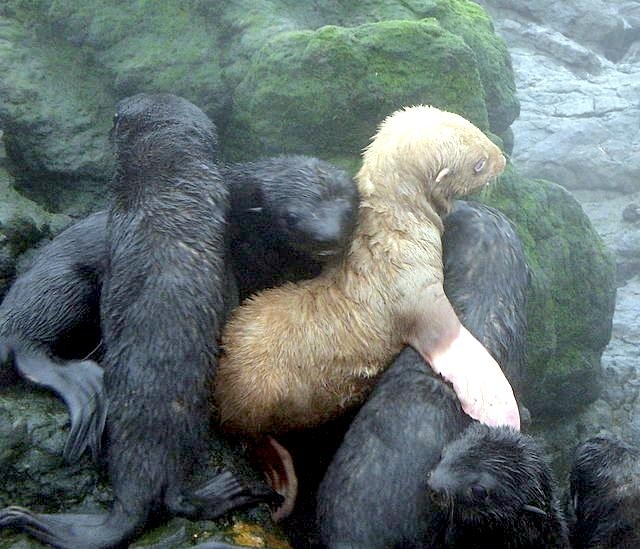 In spite of this long distance, the vast majority return to the Pribilof Islands off the coast of Alaska in the Bering Sea annually to breed. 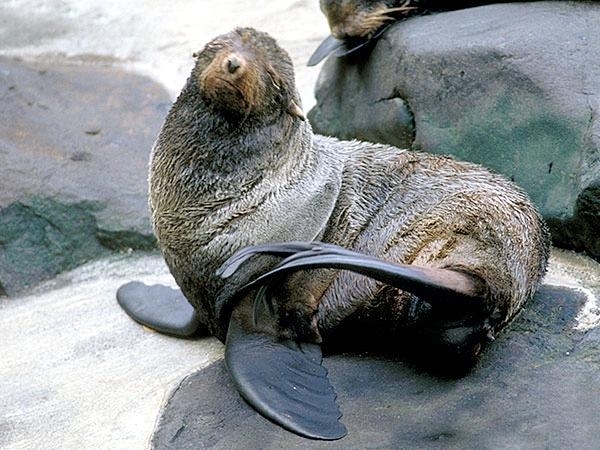 The coat of adult males ranges in color from brownish-gray to reddish-brown or black. 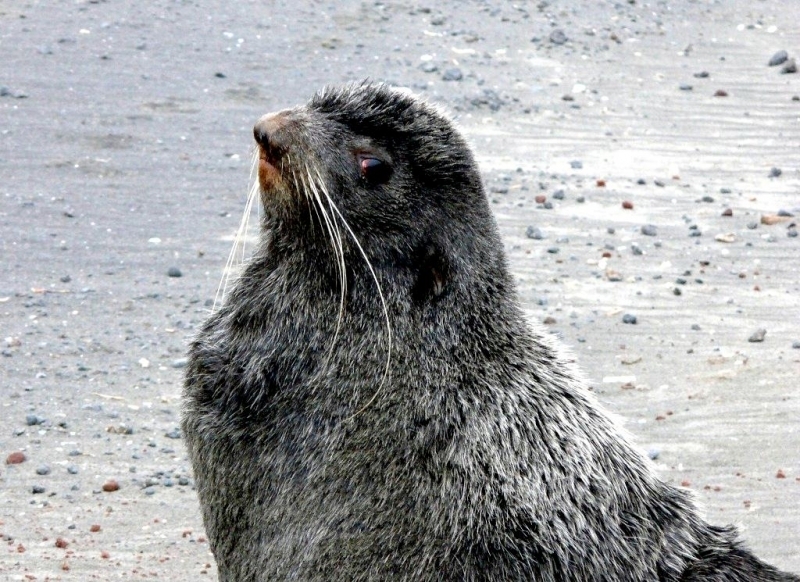 Adult females are silvery-gray on the dorsal (upper) side and reddish-brown in front with a light gray patch on their chest. 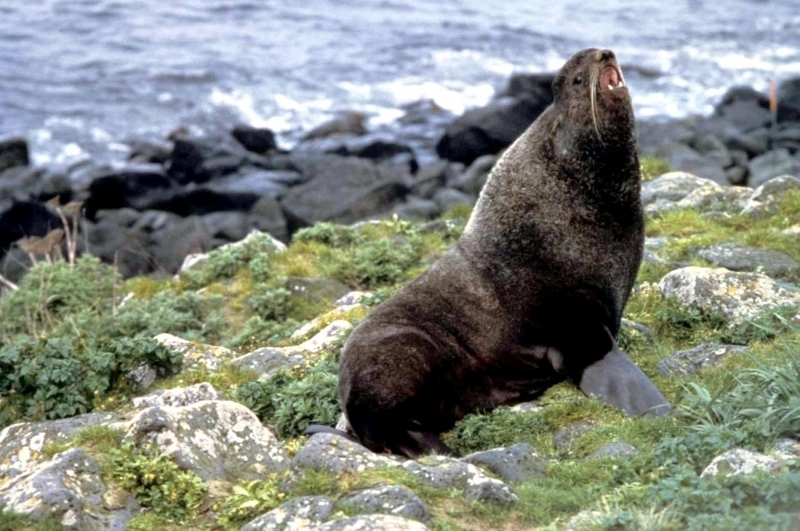 Adult males grow to an average of 2.1 meters in length and 175-275 kilograms in weight. 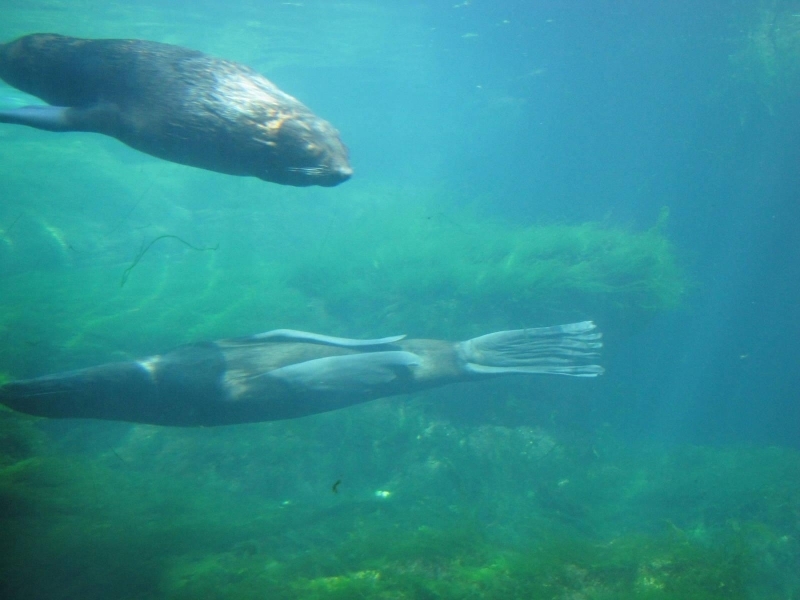 Adult females are significantly smaller averaging 1.4 meters in length and 30-50 kilograms in weight. 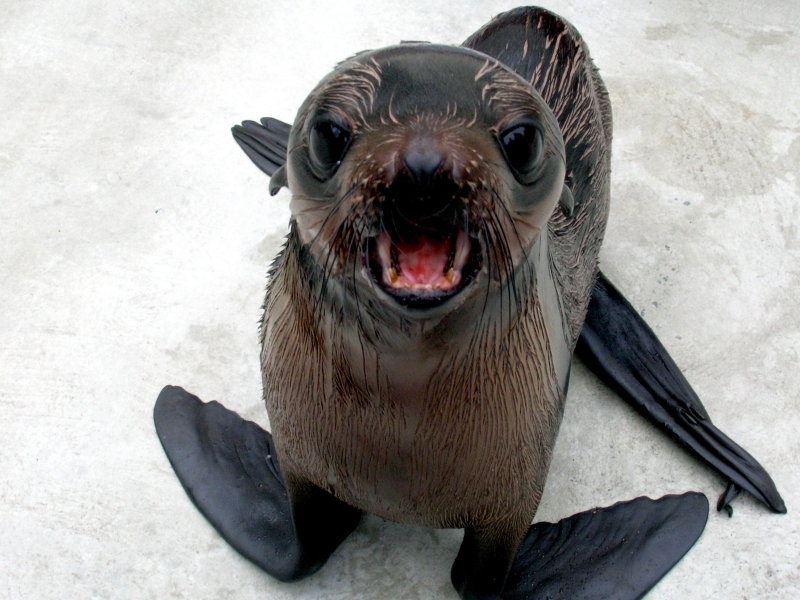 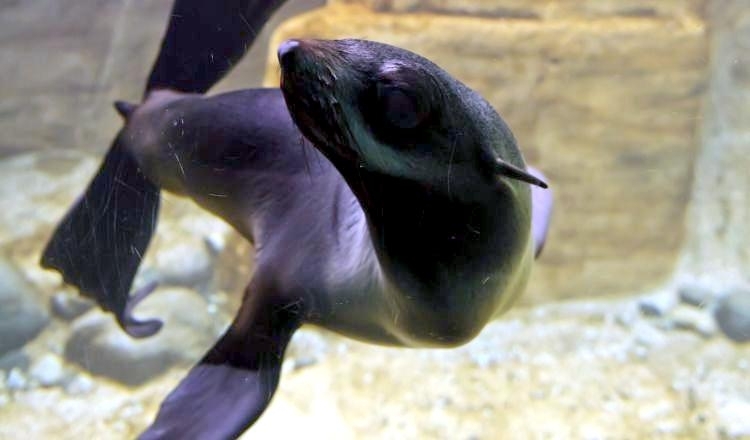 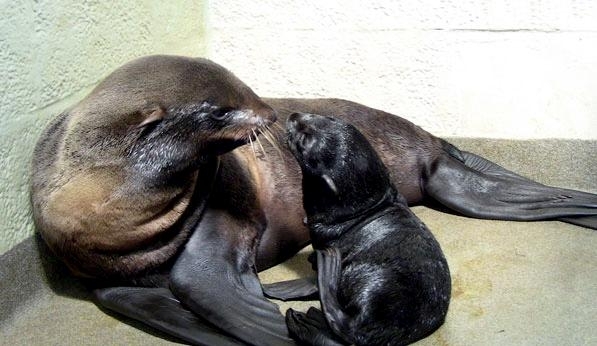 Northern Fur Seals can live up to about 25 years of age but have a life expectancy at birth of less than 4 years. 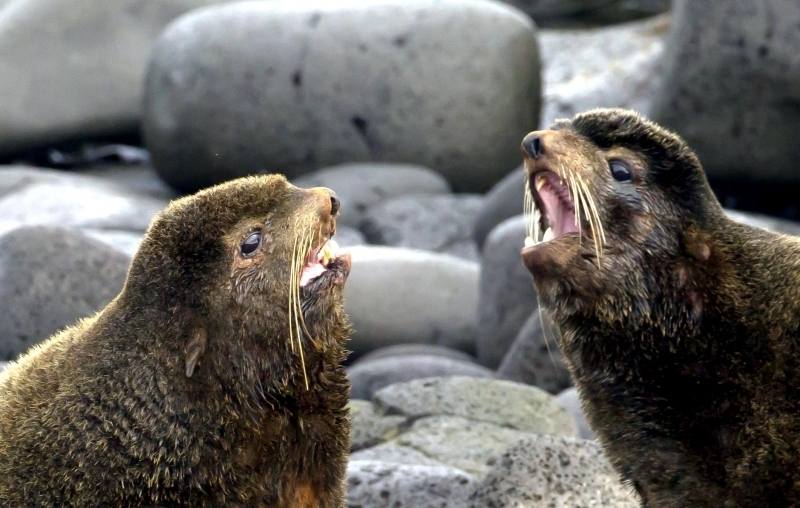 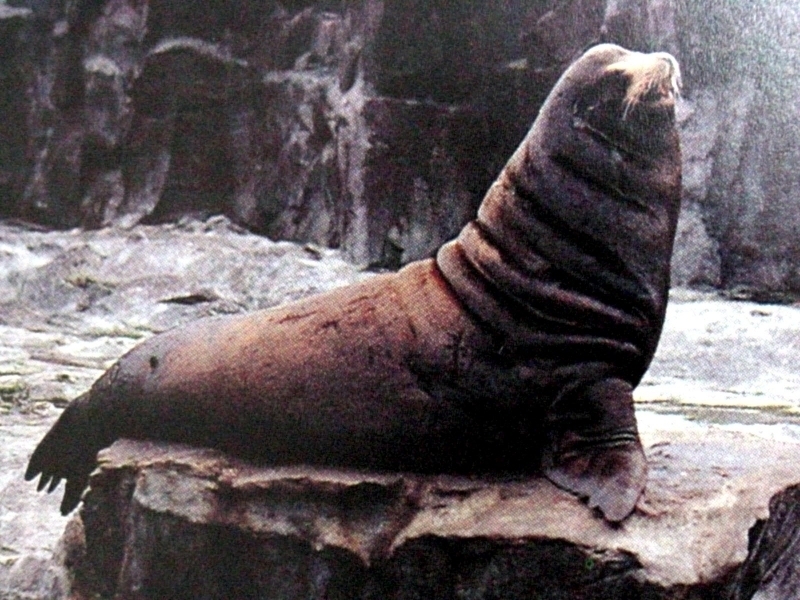 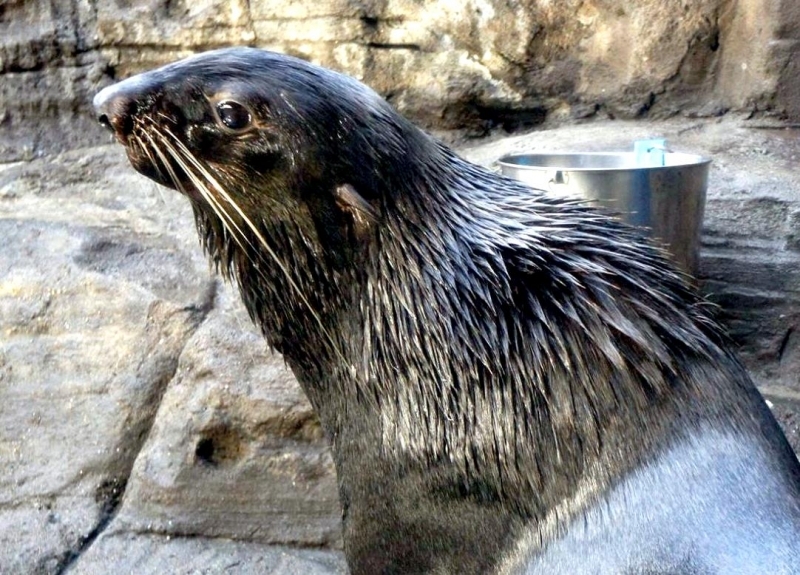 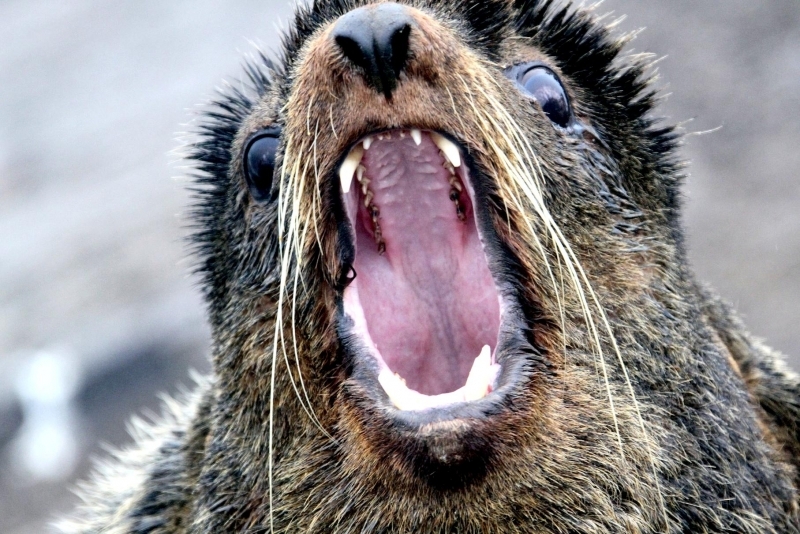 Northern Fur Seals are found throughout the north Pacific Ocean from the Bering Sea to southern California in the east and to central Japan in the west. 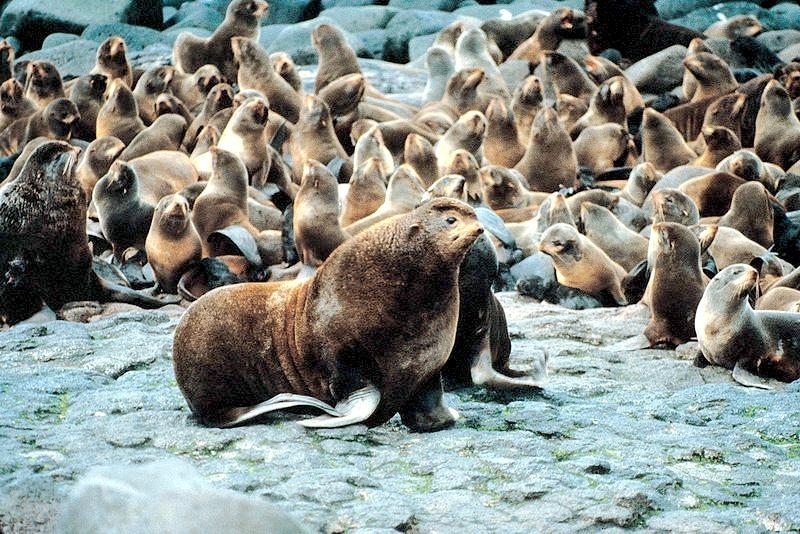 Their total population was estimated at 1-1.3 million, the majority of which breeds on the Pribilof Islands in the southern Bering Sea. 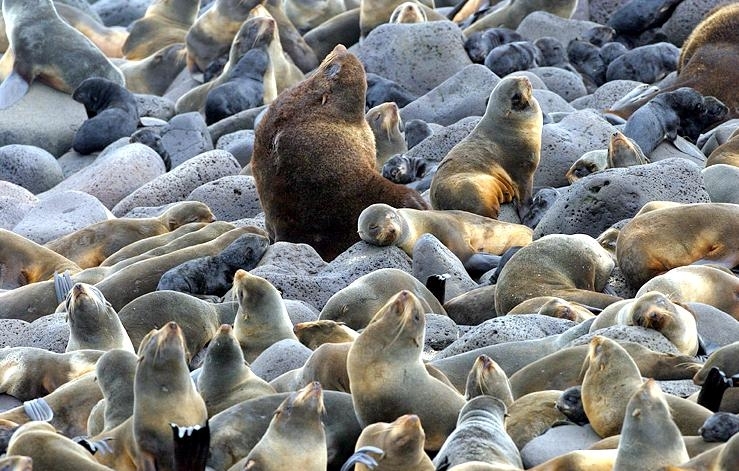 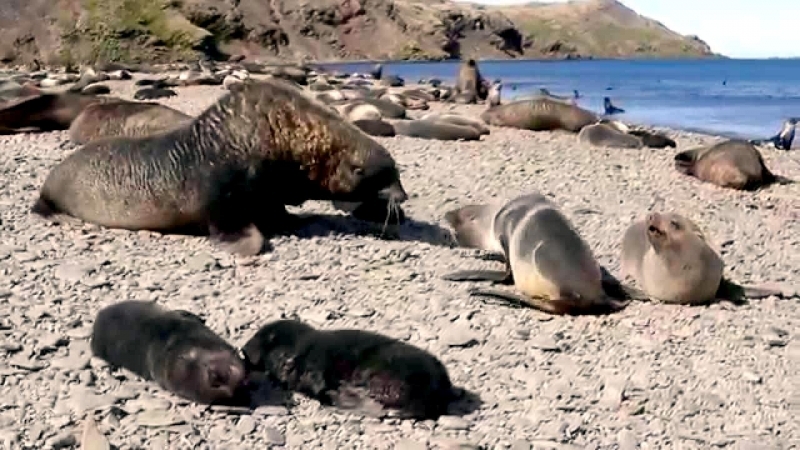 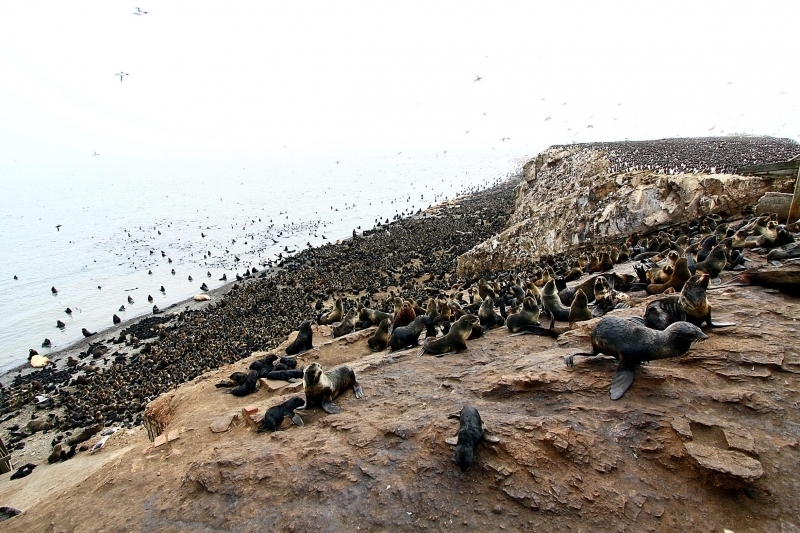 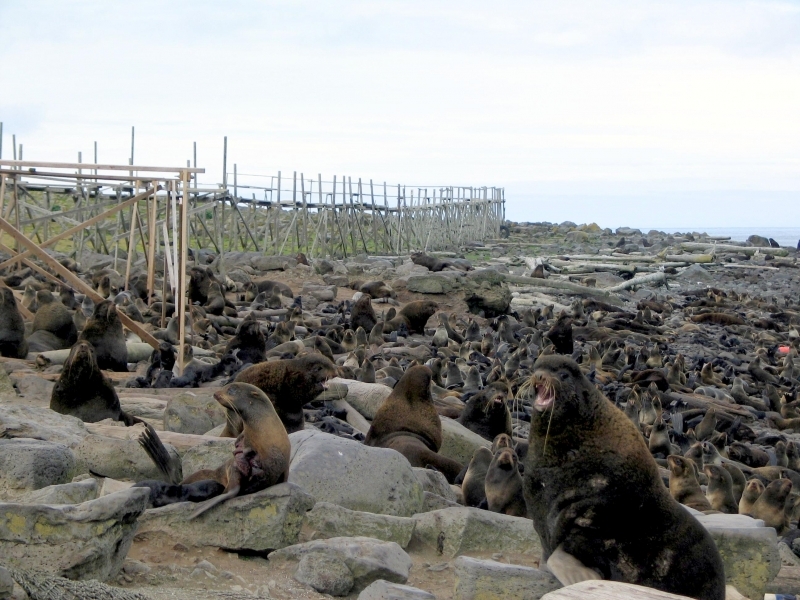 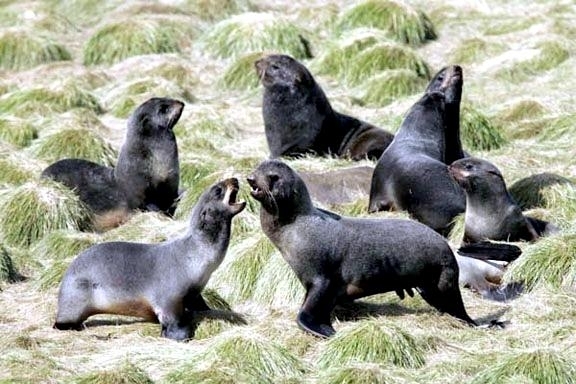 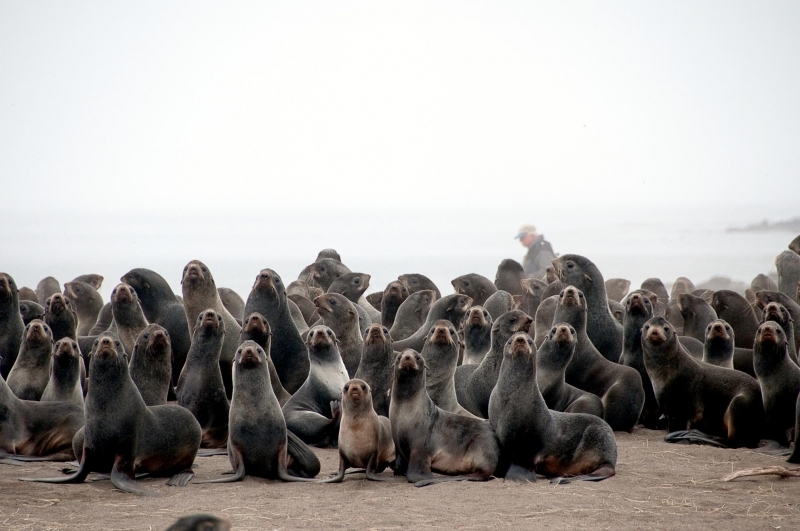 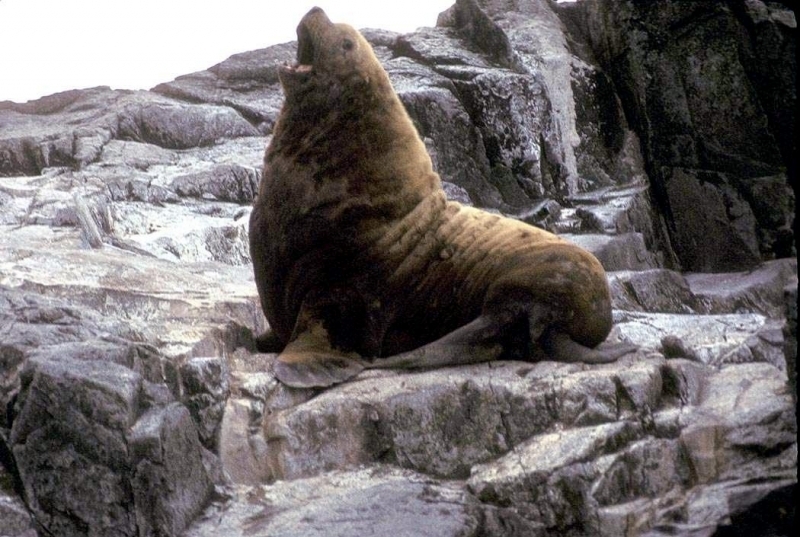 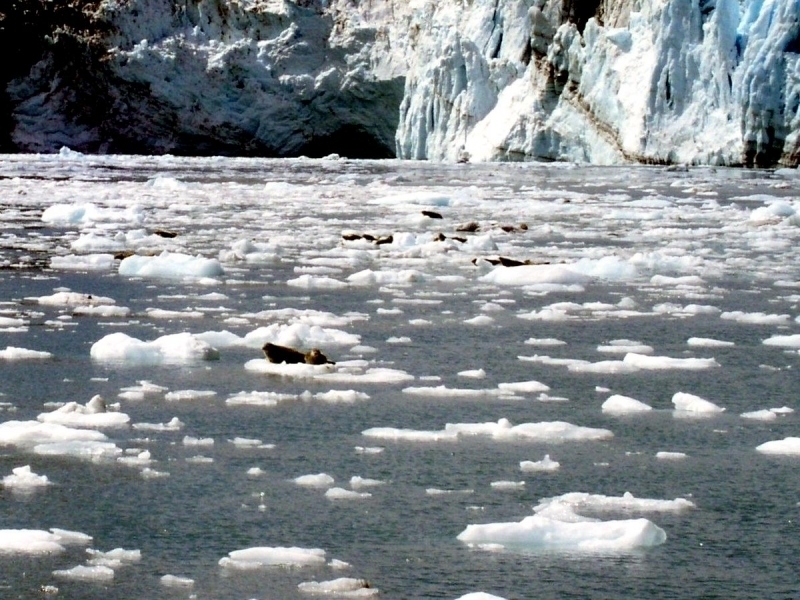 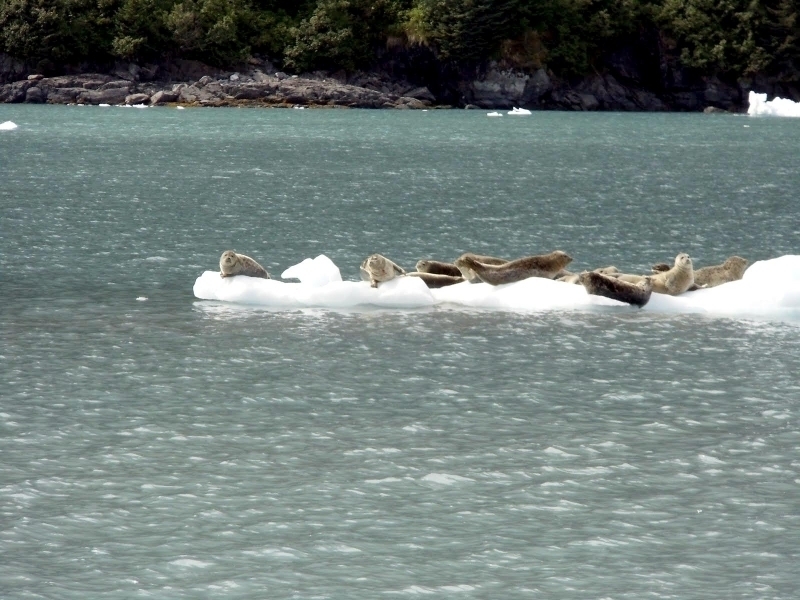 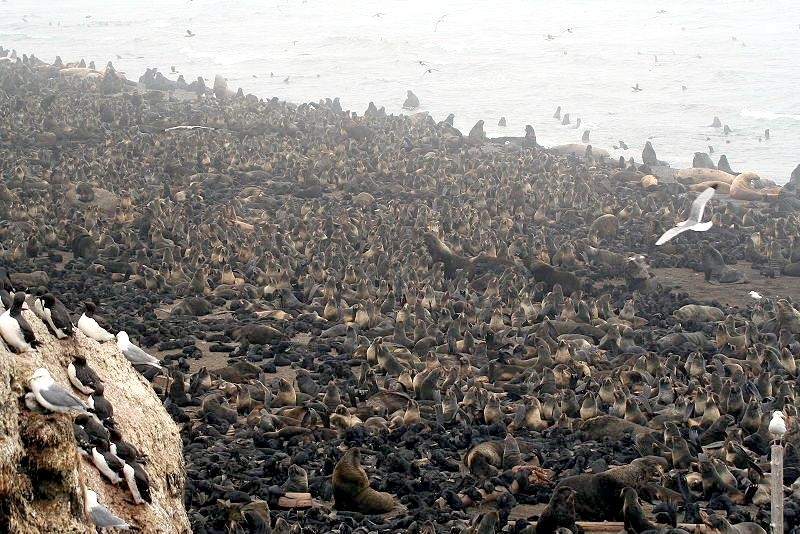 The second largest Northern Fur Seal breeding site is the Commander Islands where about 225,000. 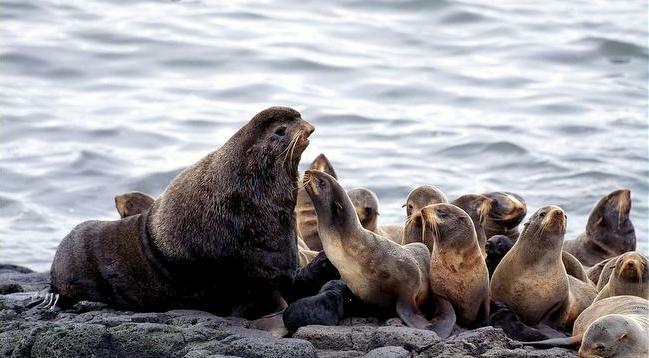 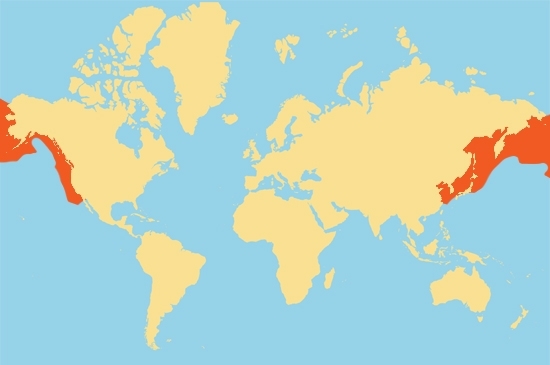 Smaller breeding sites include the central Kuril Islands, Tyuleniy Island in the Okhotsk Sea, Bogoslof Island in the Aleutian Islands and San Miguel Island off of southern California. 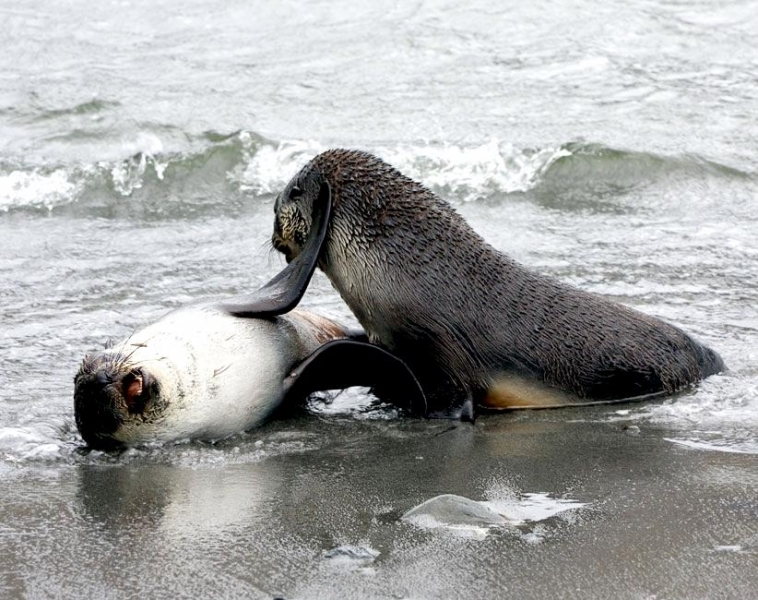 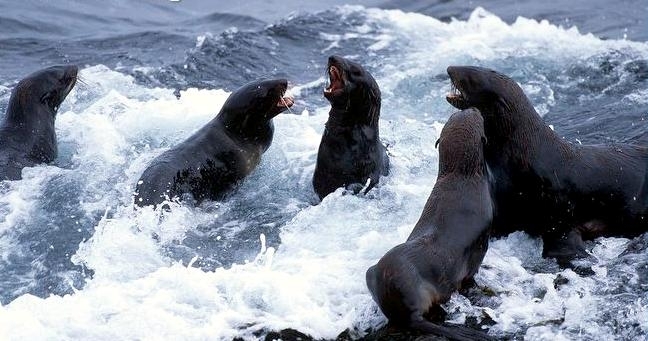 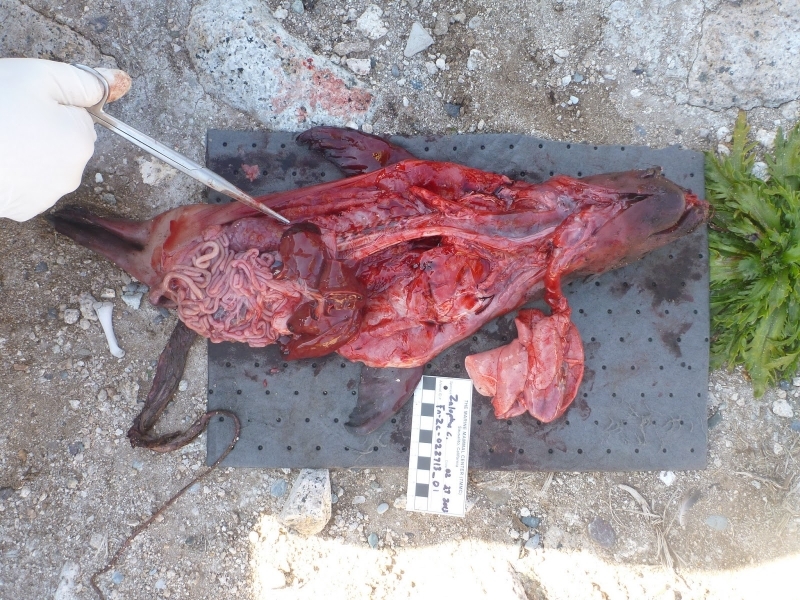 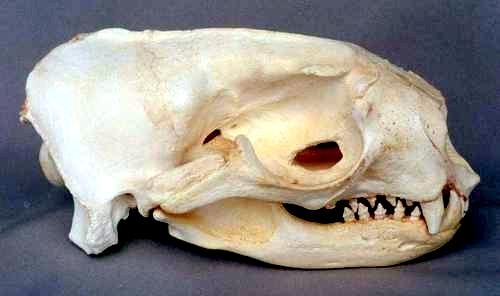 The primary prey of Northern Fur Seal is pollock & squid. 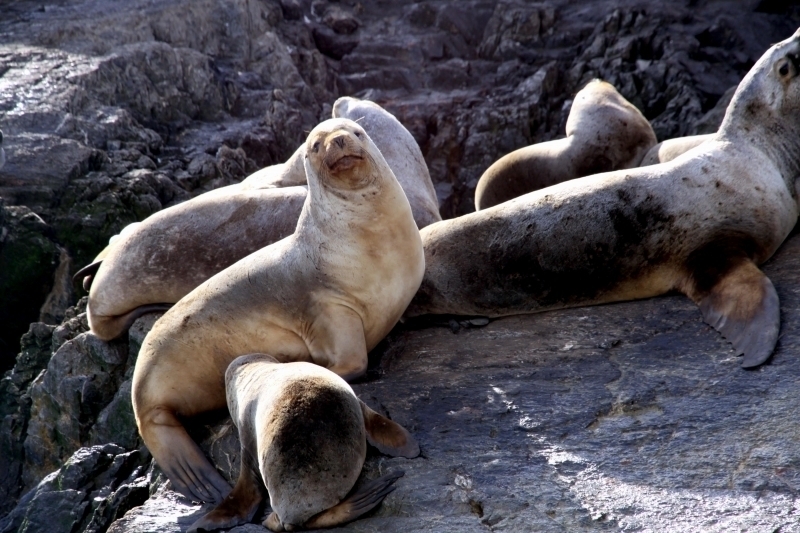 They also feed on Sand Lances, Salmon, Capelin, Herring, Mackerel, Hake, Anchovy and other fish. 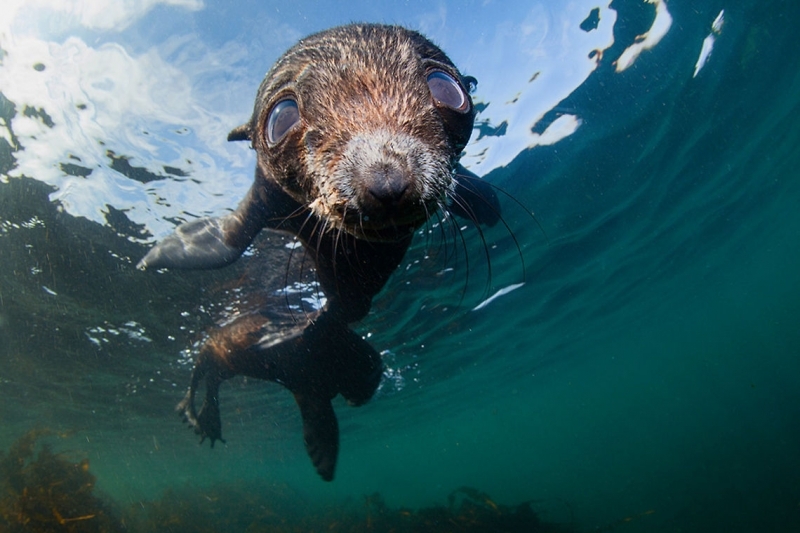 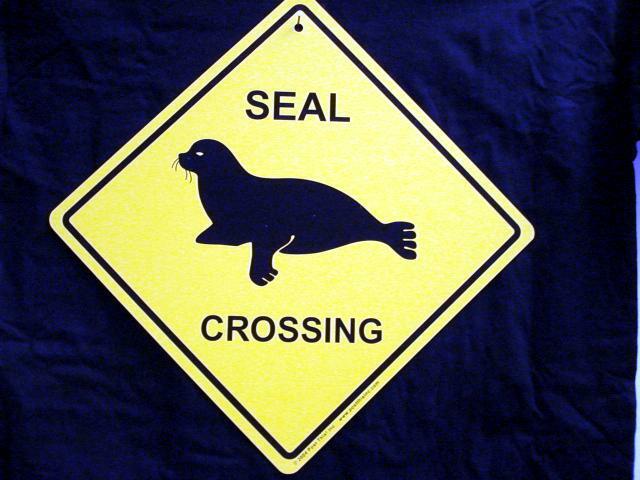 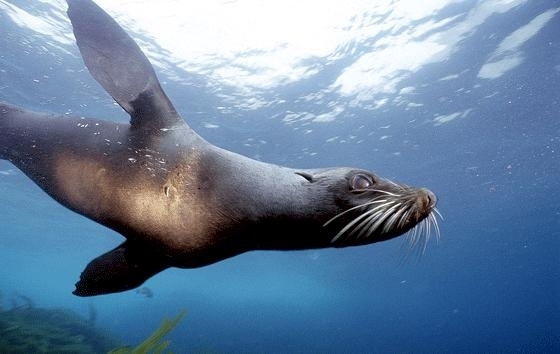 The maximum recorded dive depth of a Northern Fur Seal is 230 meters. 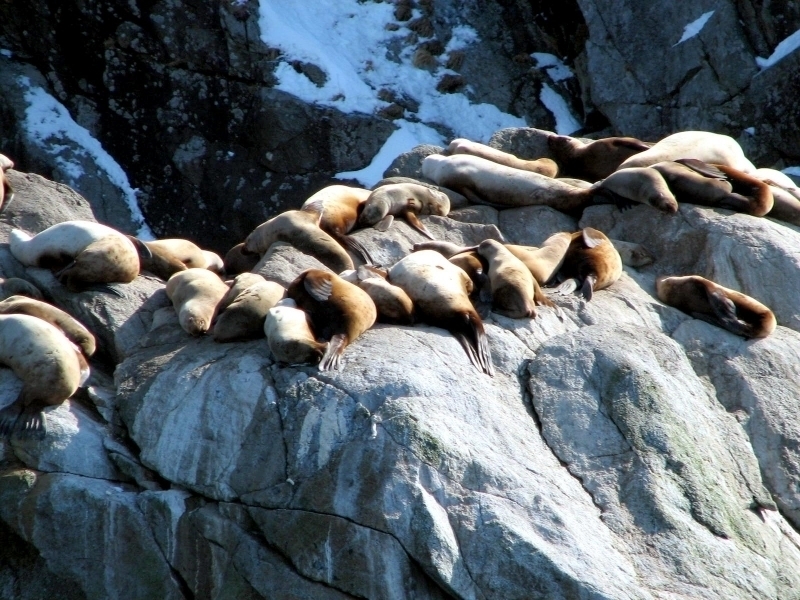 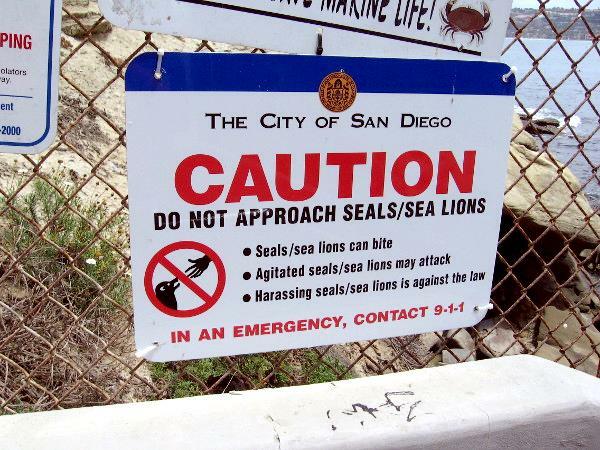 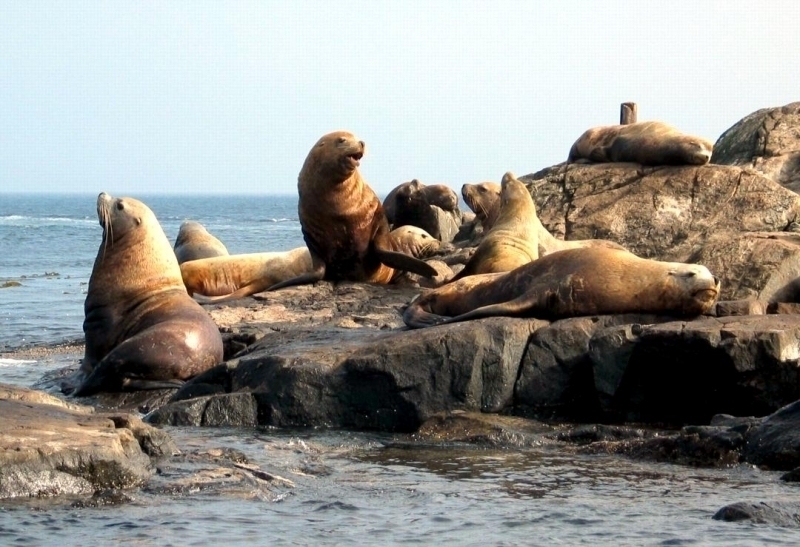 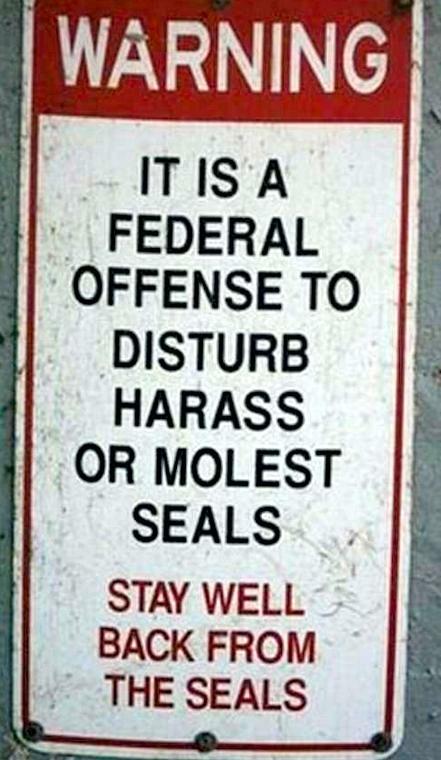 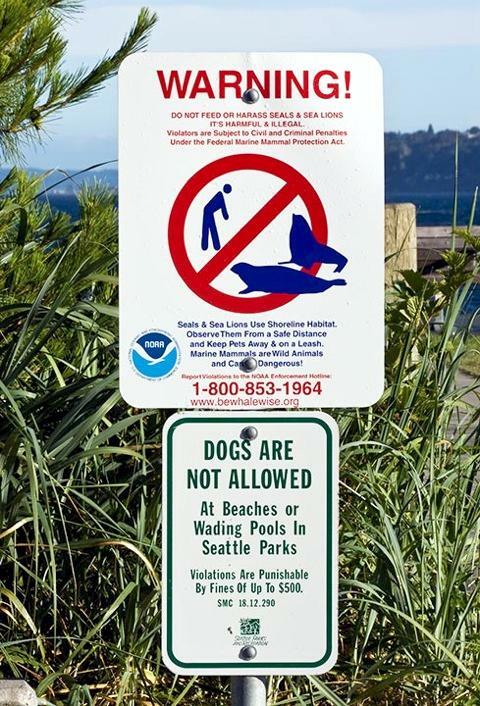 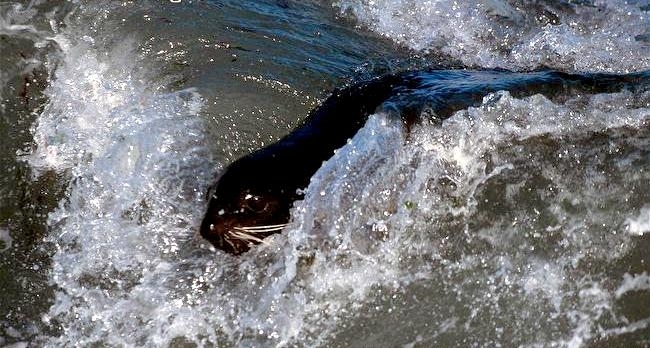 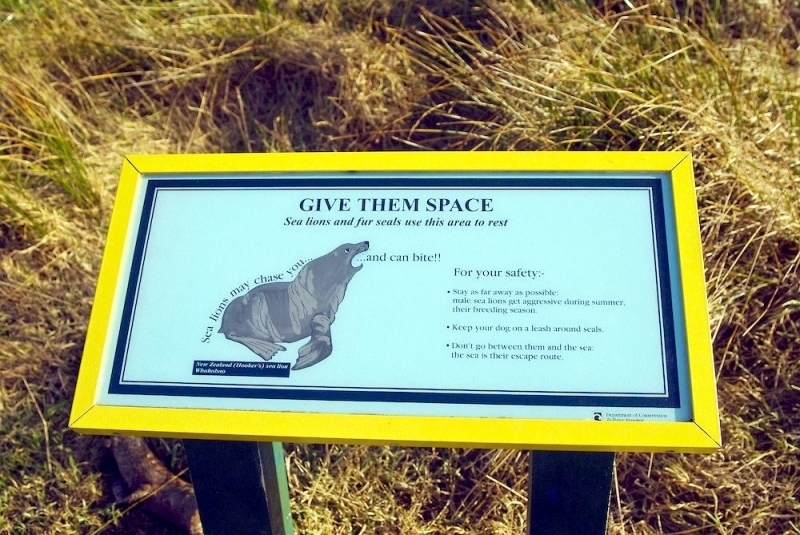 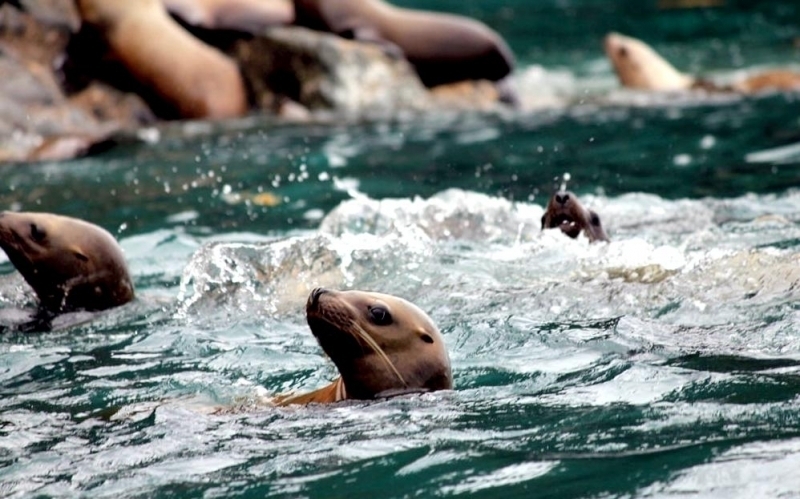 Predators include sharks, foxes, Killer Whales and Northern Sea Lions. 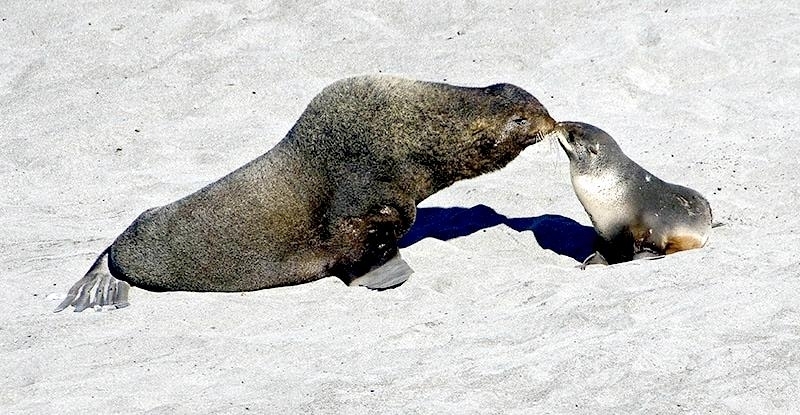 Females reach sexual maturity at 2-5 years, males at 4-5 years, however males will not breed until they are about 8-9 years and the adult male reproductive peak is brief generally lasting about two seasons. 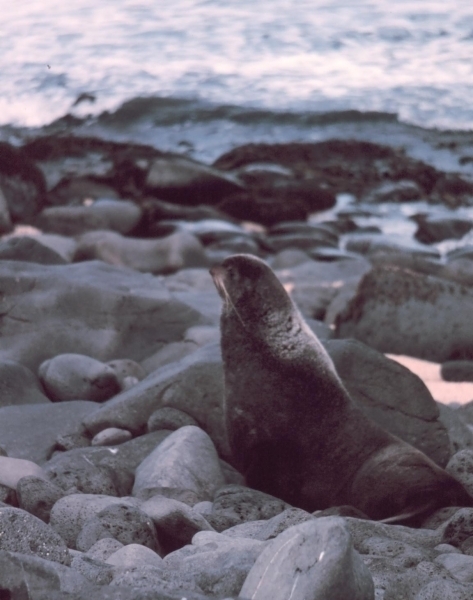 This species shows strong fidelity to specific breeding sites and males begin to arrive in May to establish territories. 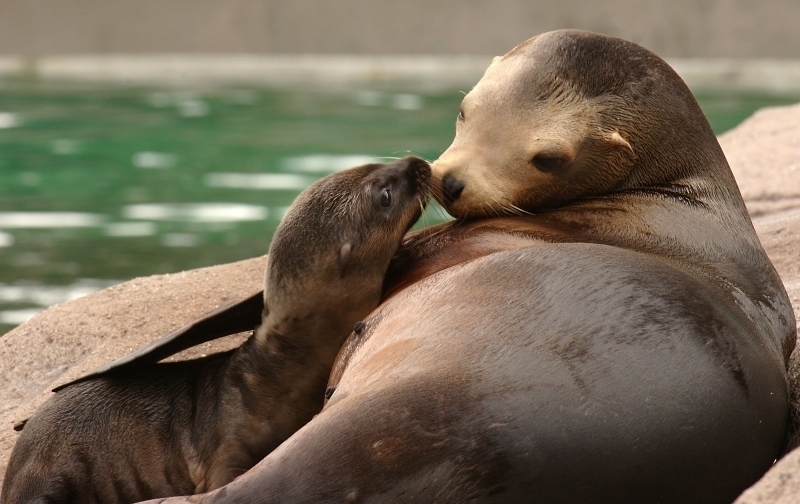 Females give birth about 2 days after they begin arriving in mid-June. 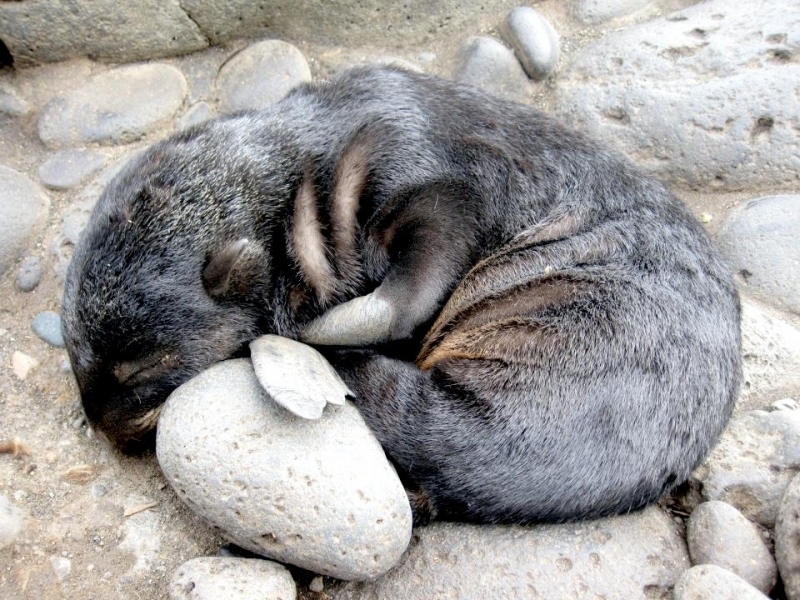 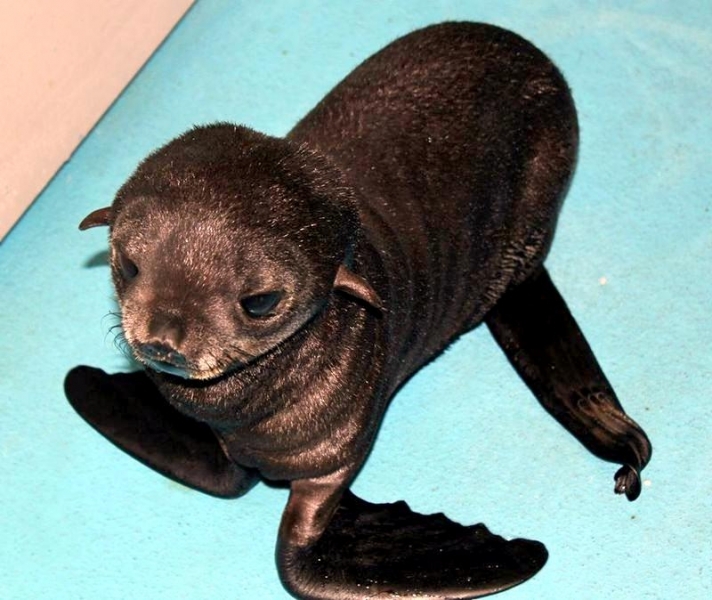 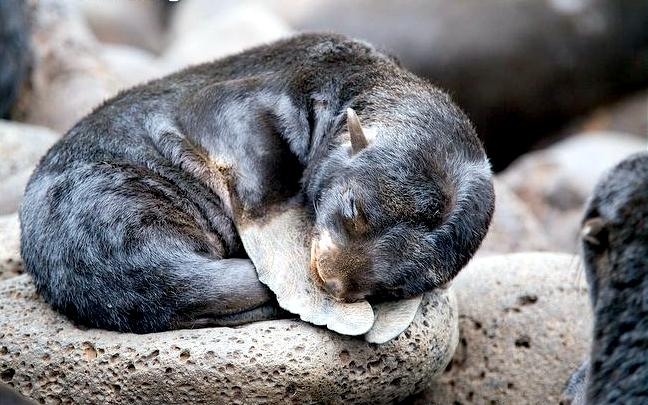 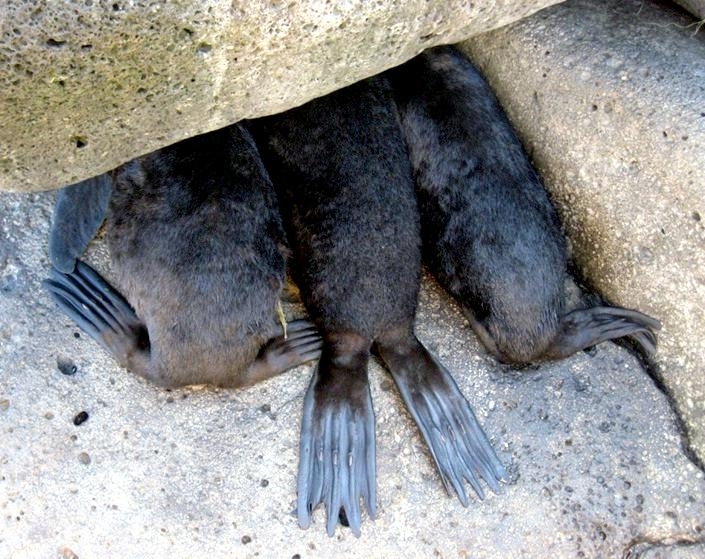 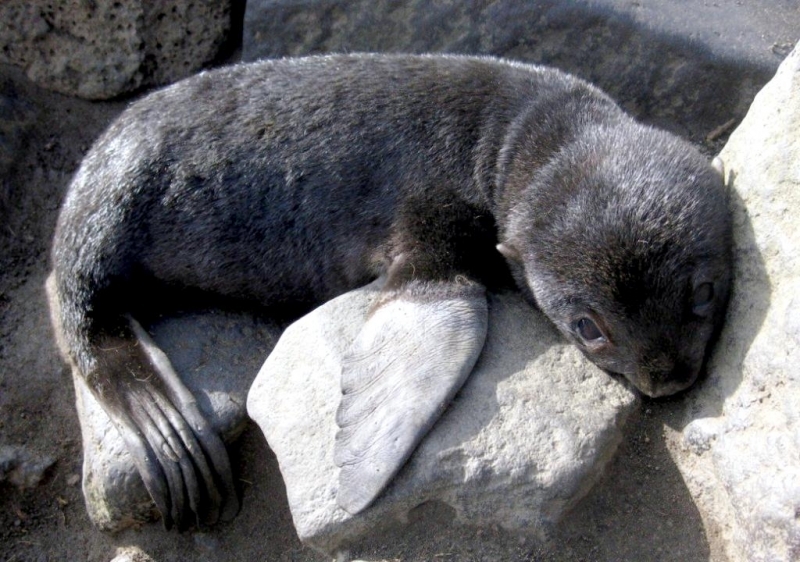 Newborn Northern Fur Seal pups measure 60 centimeters. 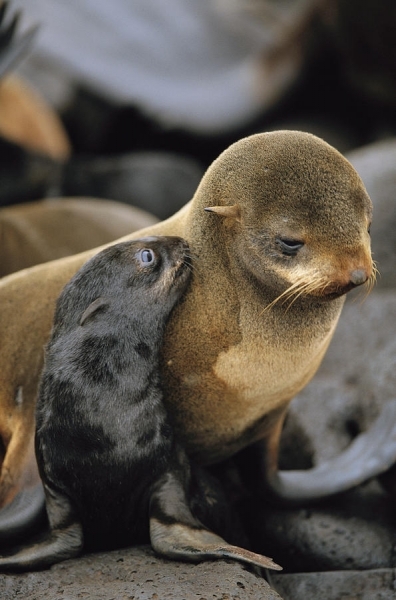 Male pups weigh an average of 5.4 kilograms, females at 4.5 kilograms. 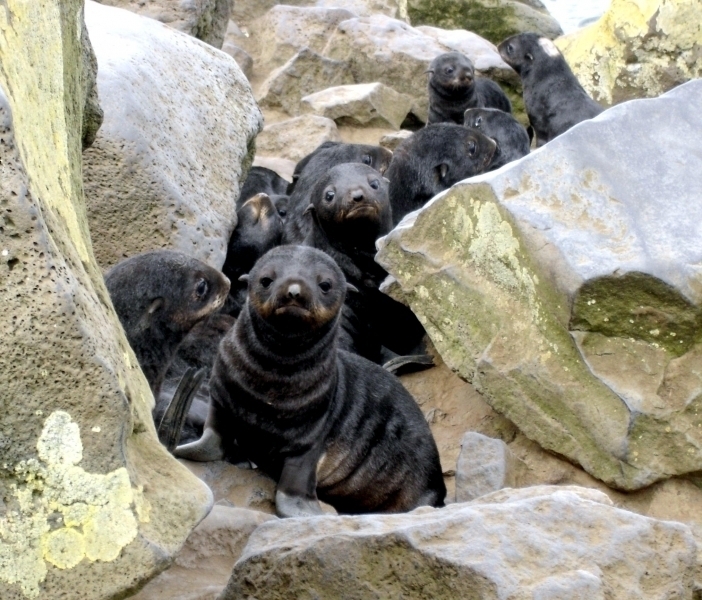 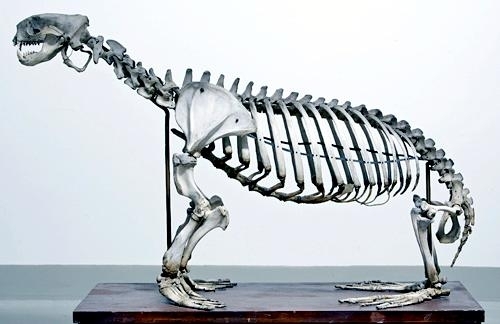 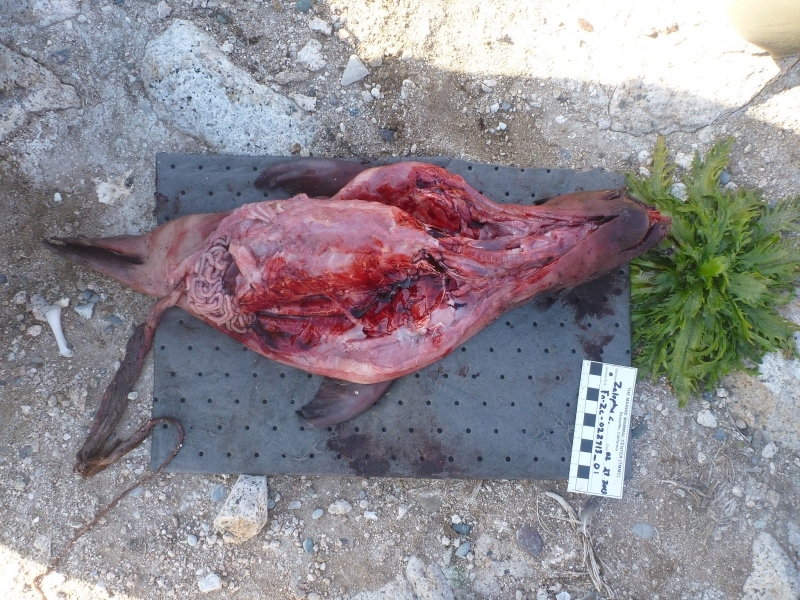 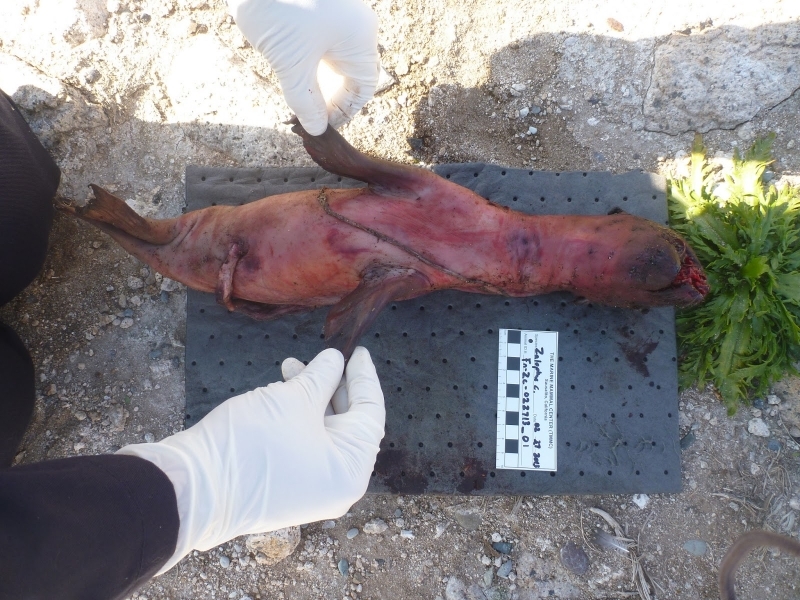 Pup mortality in the first year is about 50%. 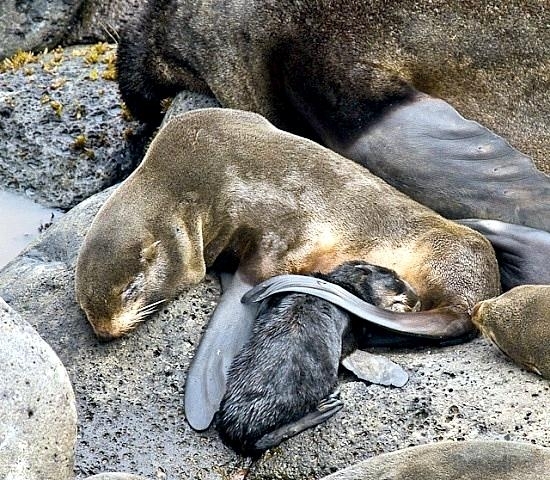 Females mate 5-6 days after giving birth, then begin the feeding cycle feeding at sea for 4-10 days and returning to nurse her pup for 1-2 days. 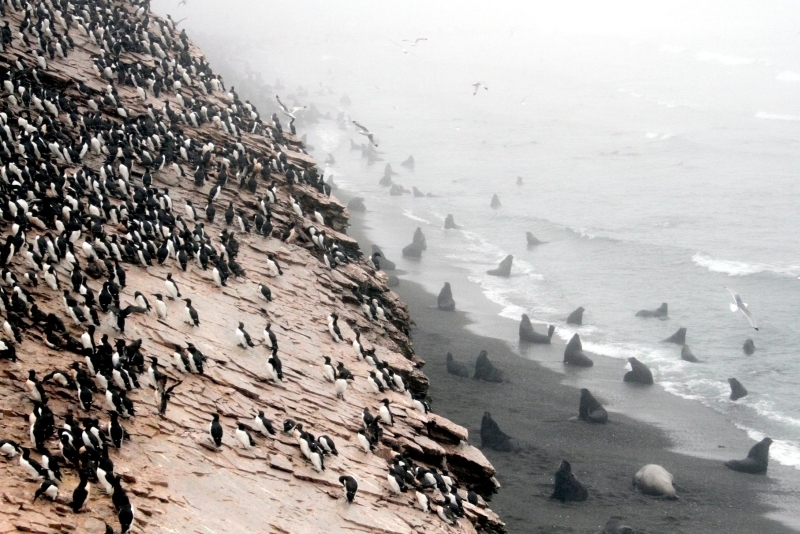 The nursing period lasts for about 4 months after which females migrate south. 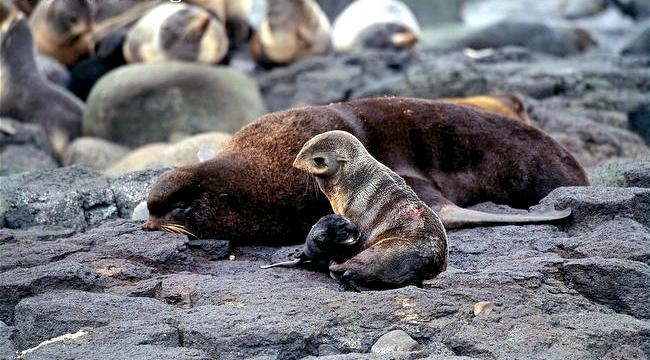 During the nursing period, call recognition is essential for mothers & pups to locate each other during the nursing period, however a 1997 research study in Alaska showed that mothers and their offspring were still able to recognize each other by their calls after 4 years of separation. 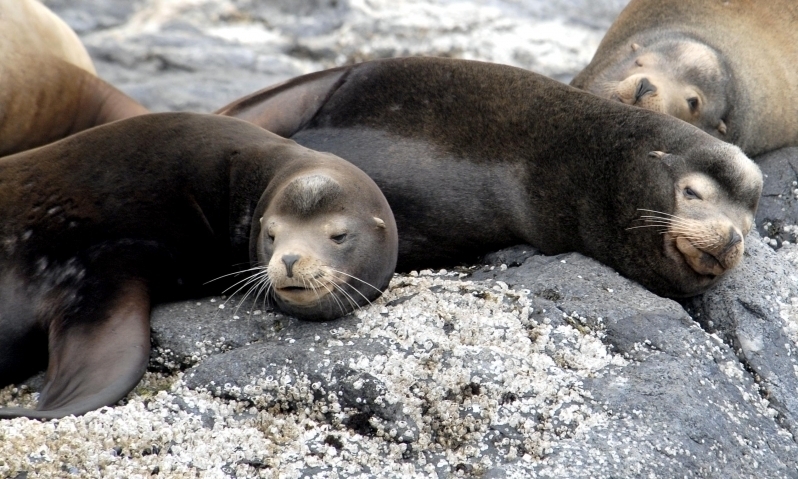 Adult males do not feed during breeding season and tend to lose up to 20% of their weight. 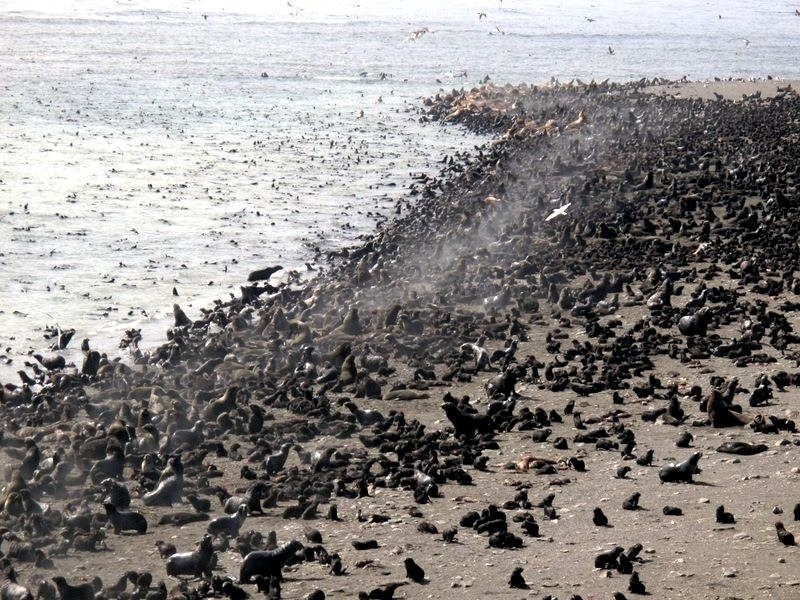 Some adult males begin migrating south in August while others remain on shore as late as November. Adult males from the Pribilof Islands generally only migrate as far south as the Gulf of Alaska and some remain in the Bering Sea. 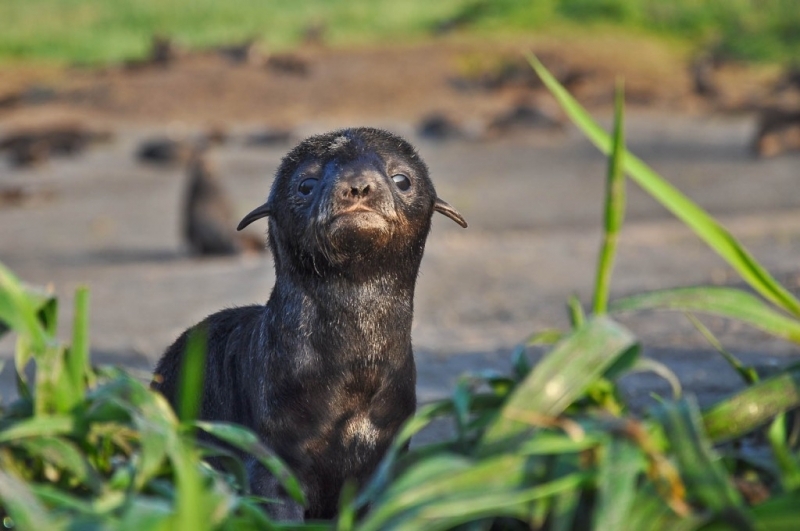 Many Northern Fur Seal pups remain at sea for up to 22 months before returning to the breeding islands & haul-outs surrounding the rookery where they were born.